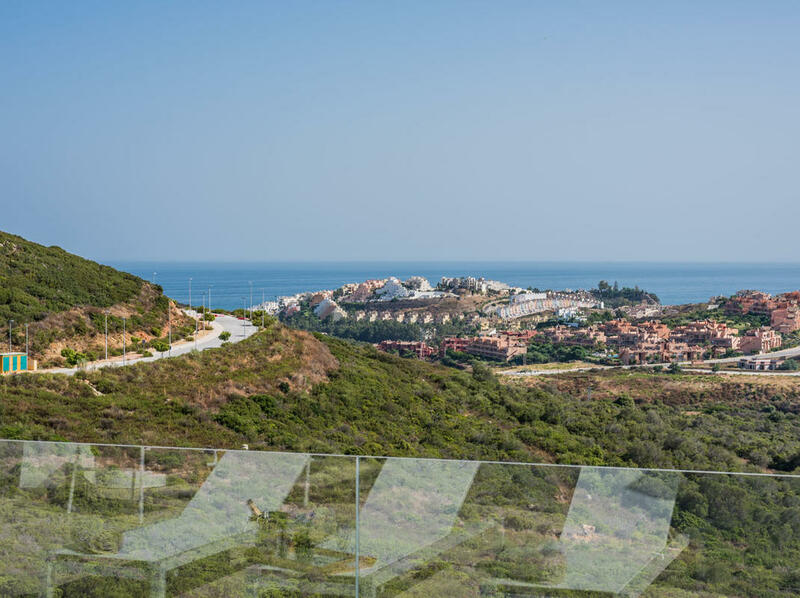 Exclusivity of a private country club environment, this gated community comprises only 45 properties divided between two phases. 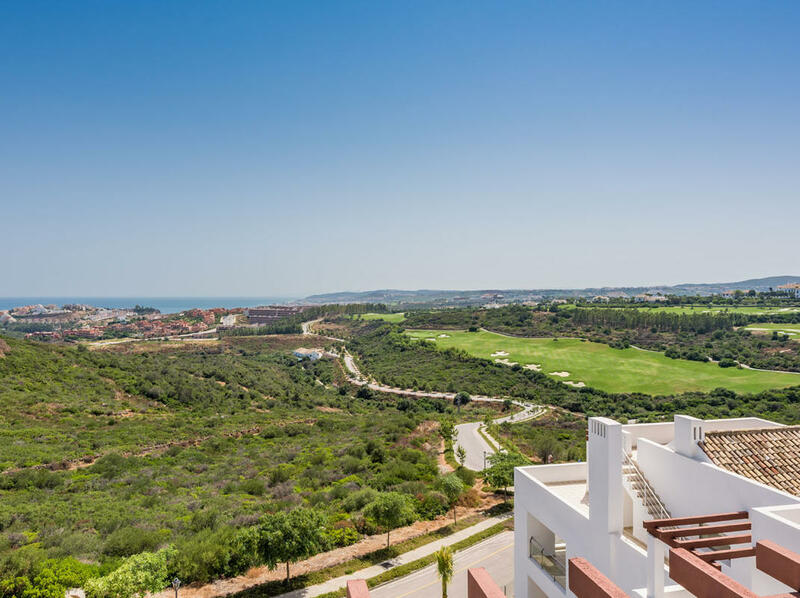 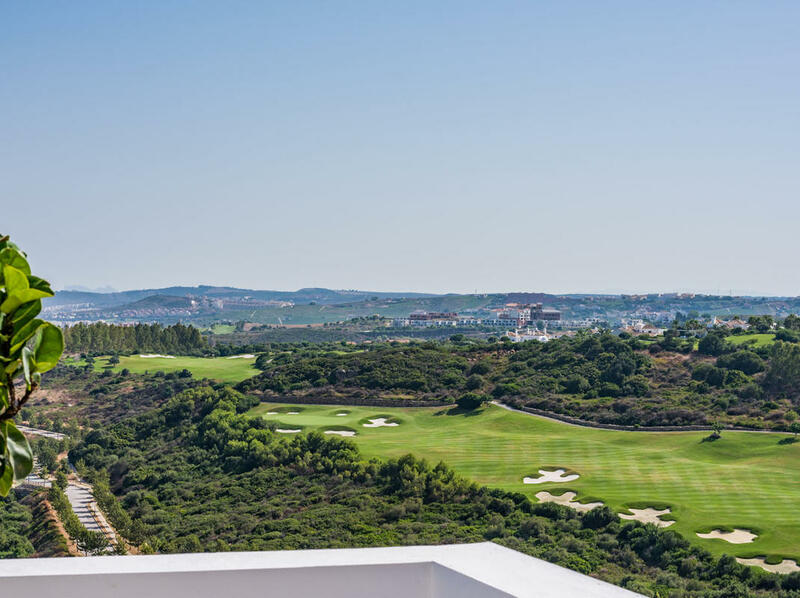 The complex is designed to provide the full lifestyle package of peace, security and space, with the added bonus of outstanding panoramic golf and sea views spanning across the Mediterranean to North Africa. 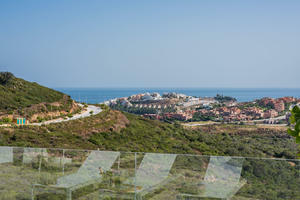 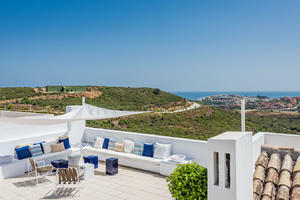 It is also adjacent to the ‘best non-urban hotel in Spain’. 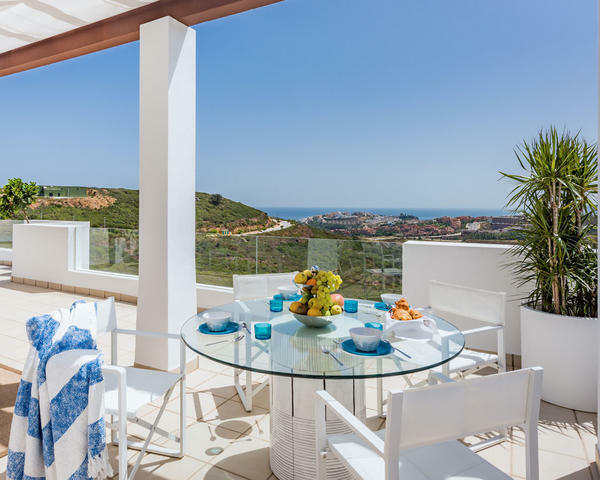 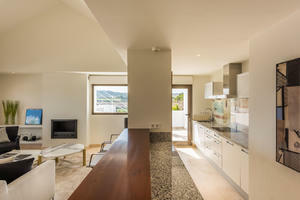 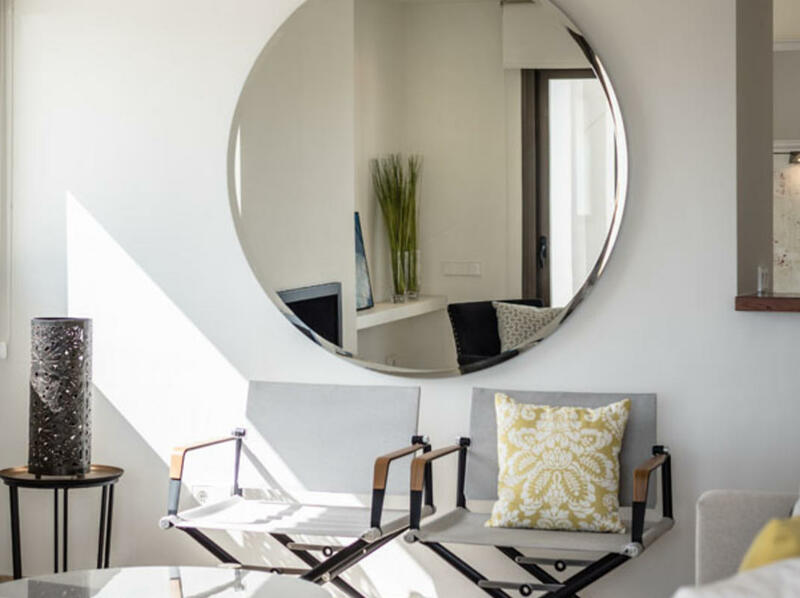 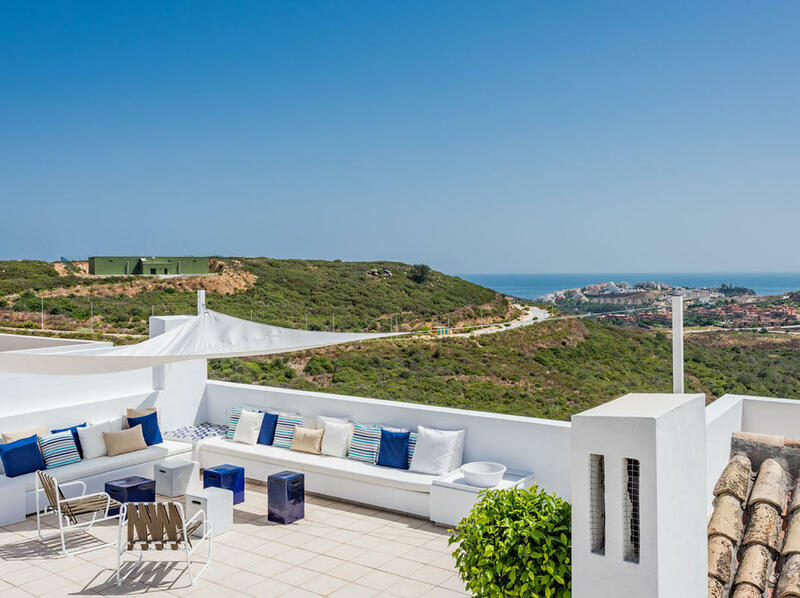 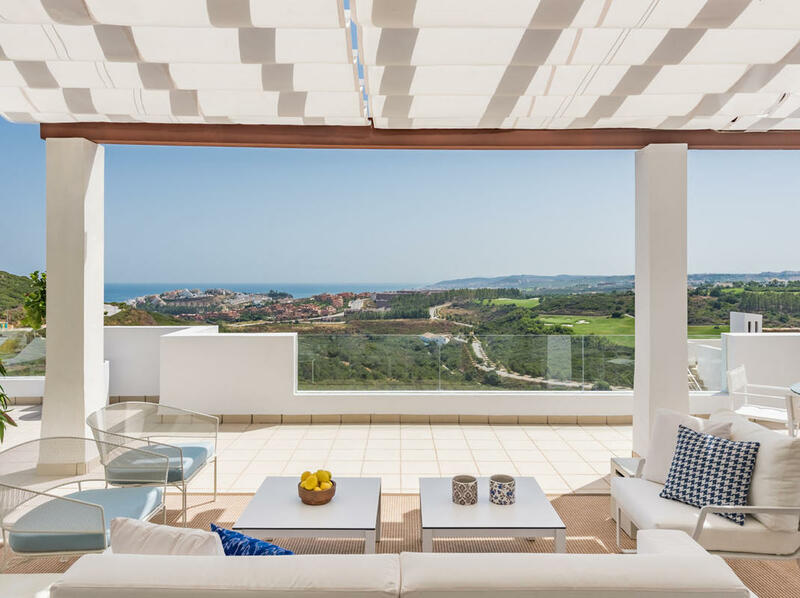 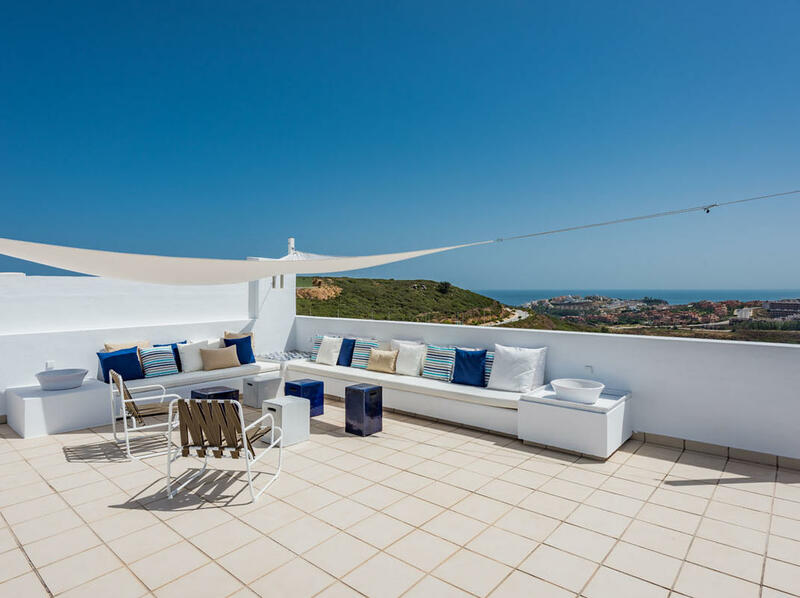 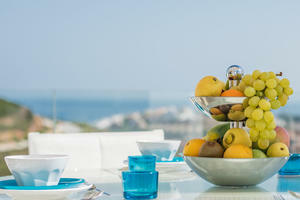 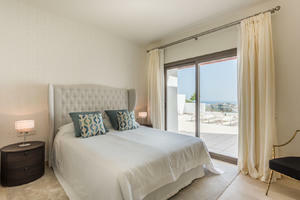 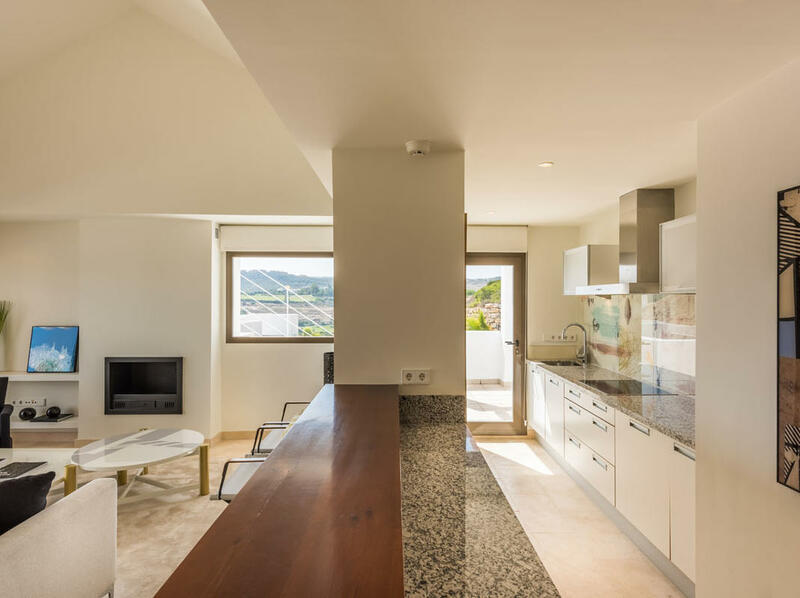 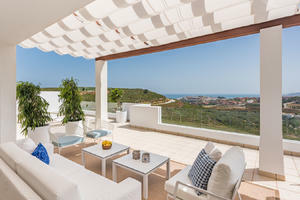 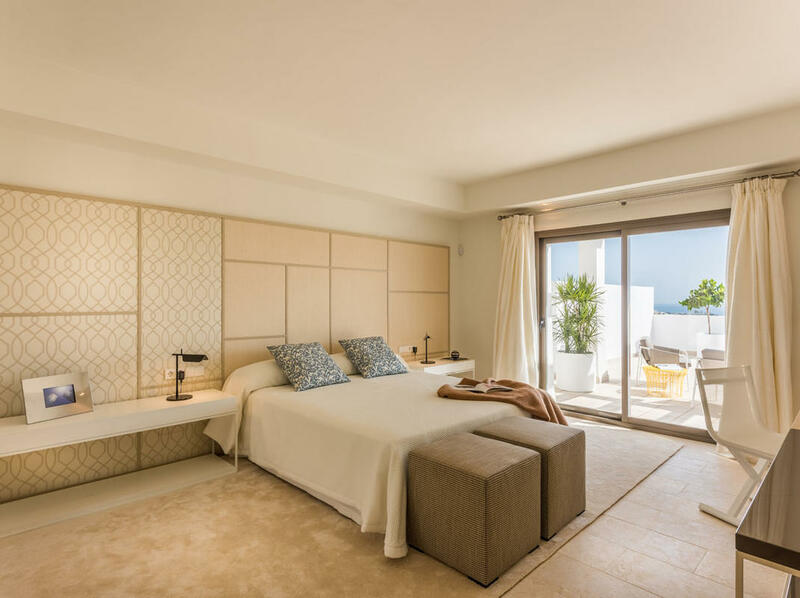 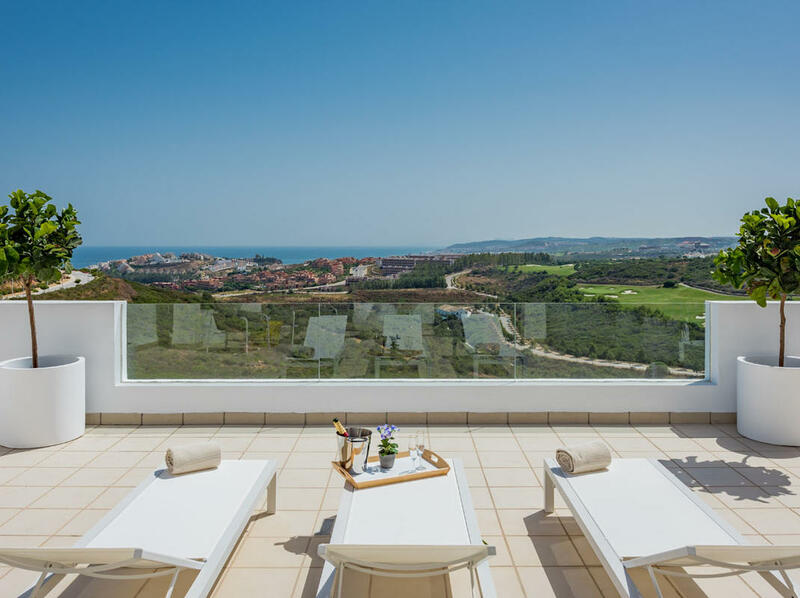 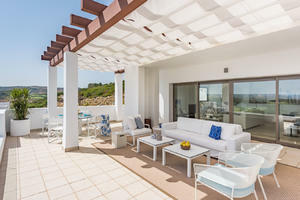 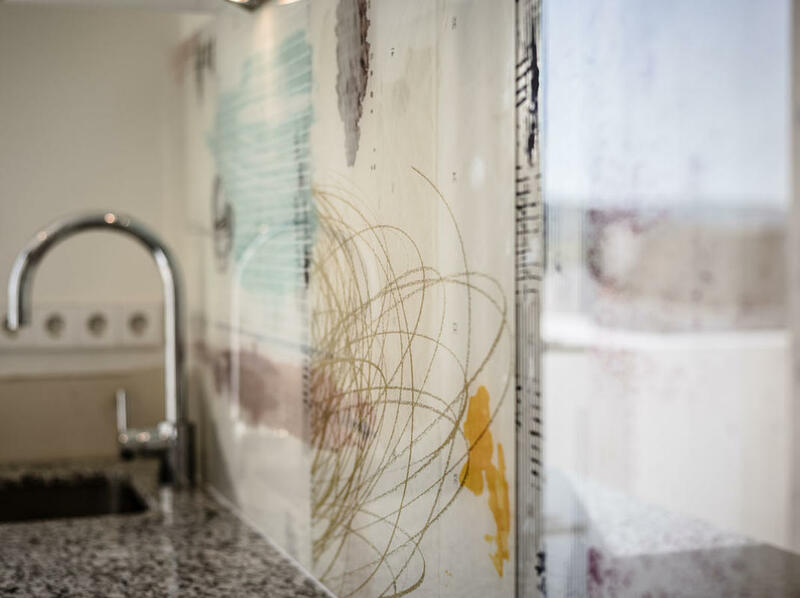 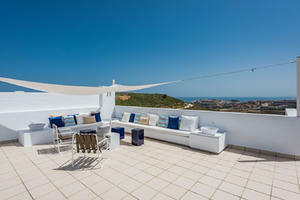 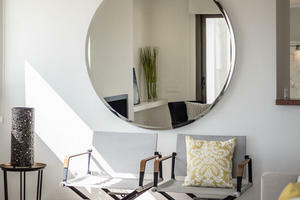 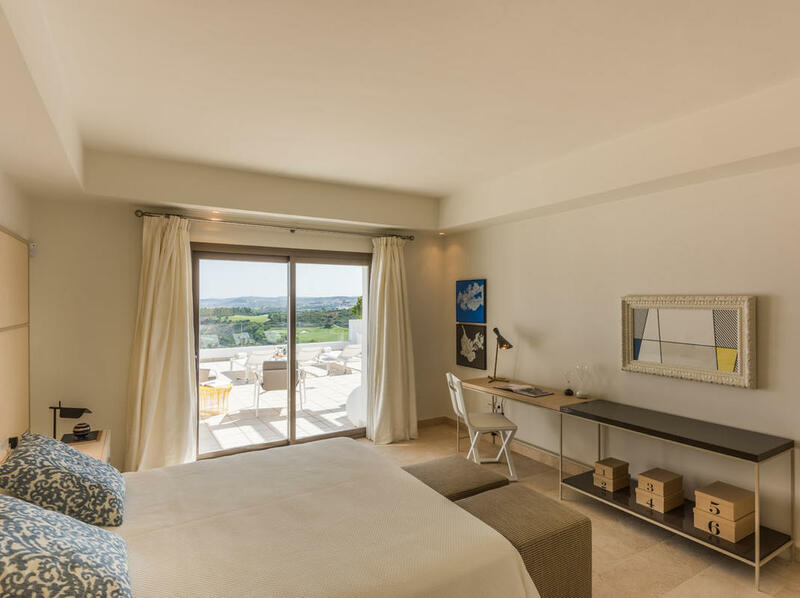 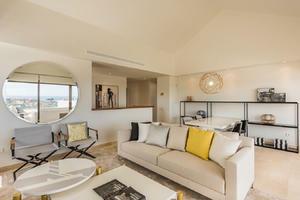 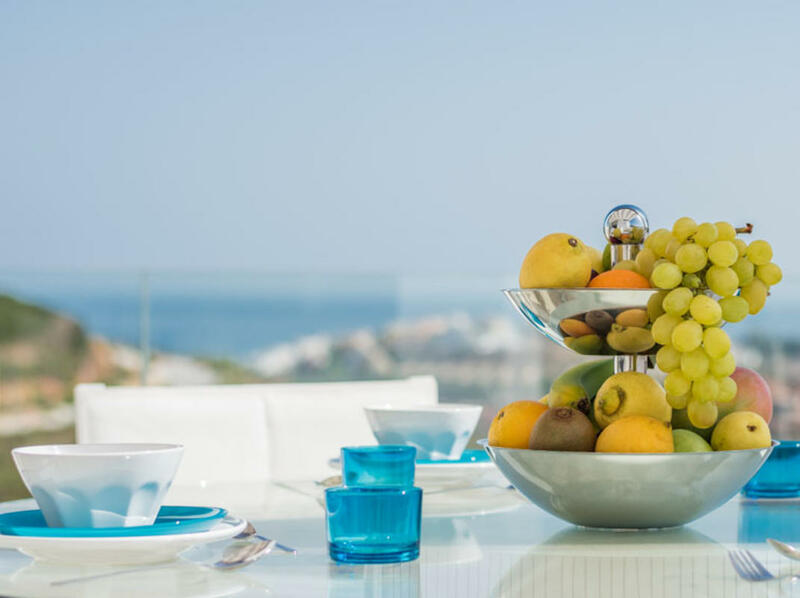 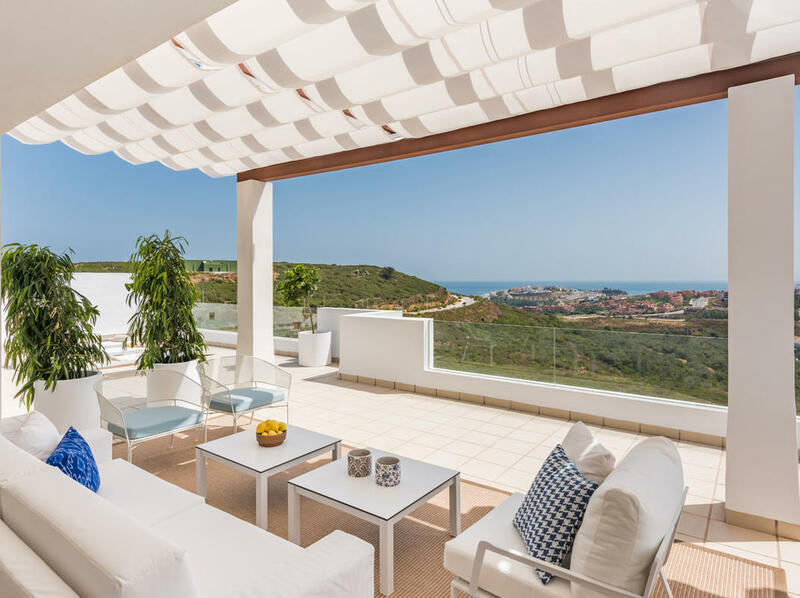 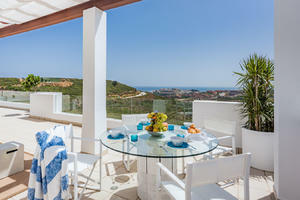 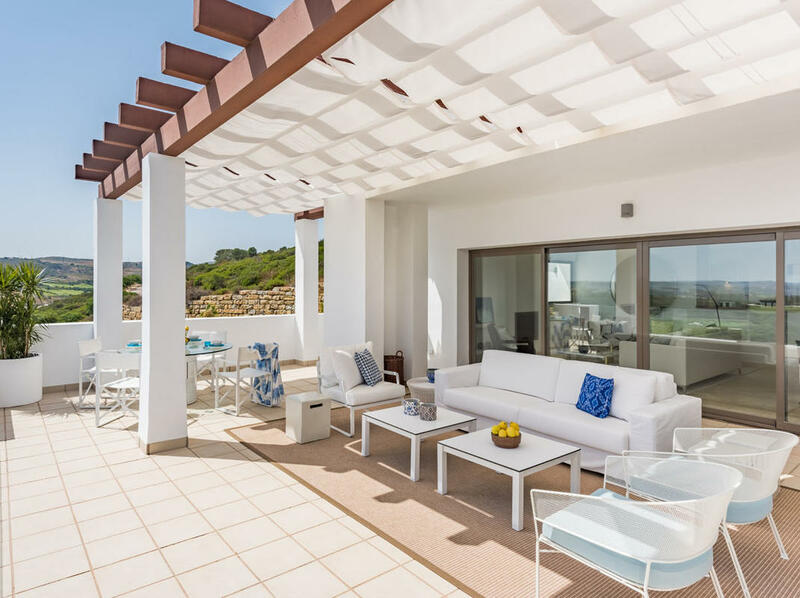 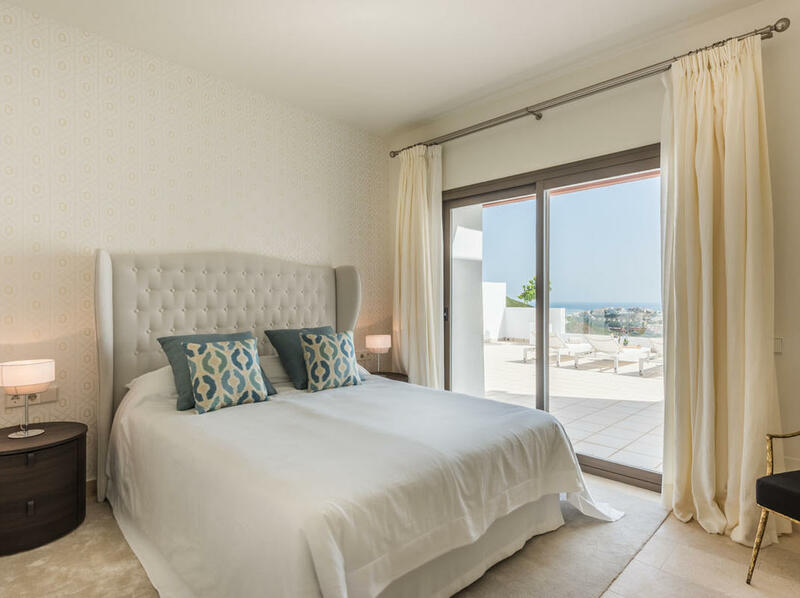 Each of these luxury Costa del Sol apartments is positioned to enjoy a southerly aspect and has extensive private terrace space with glass walls to make the most of the extraordinary golf and sea views. 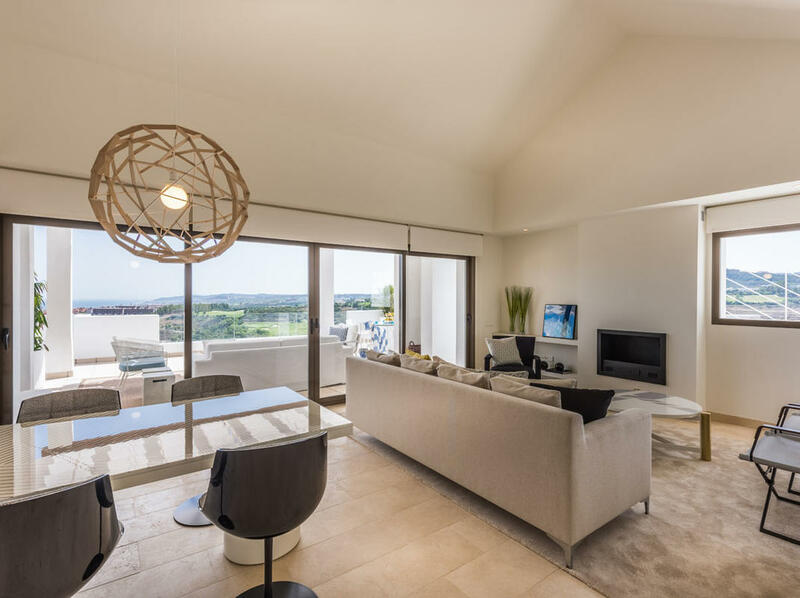 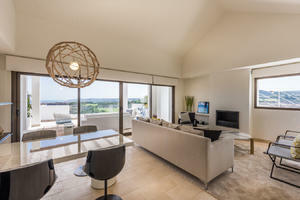 The light and spacious apartments and penthouses comprise open-plan living rooms and kitchens equipped with Siemens appliances and granite working tops. 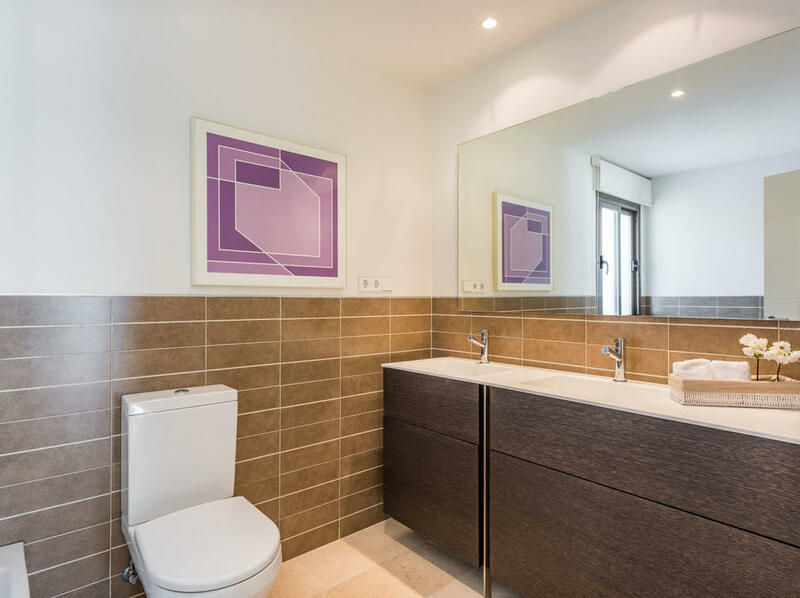 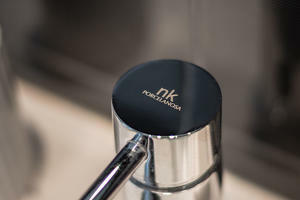 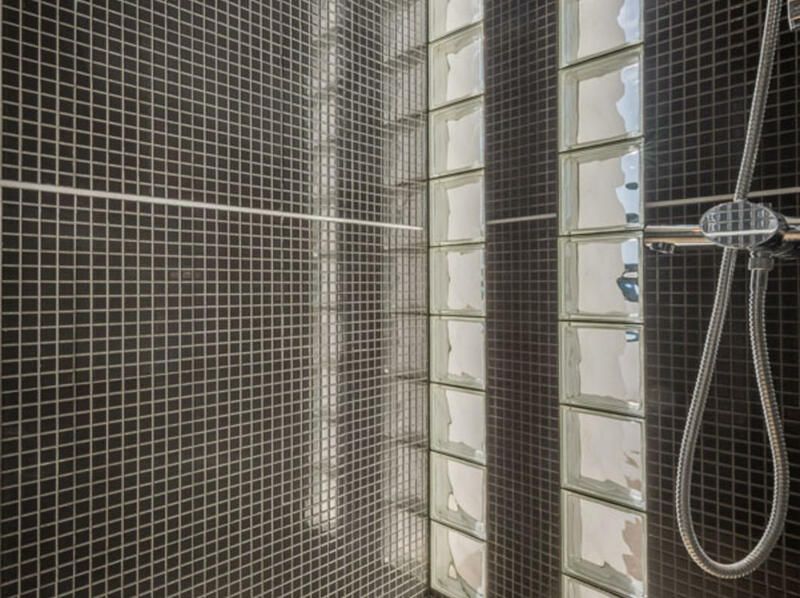 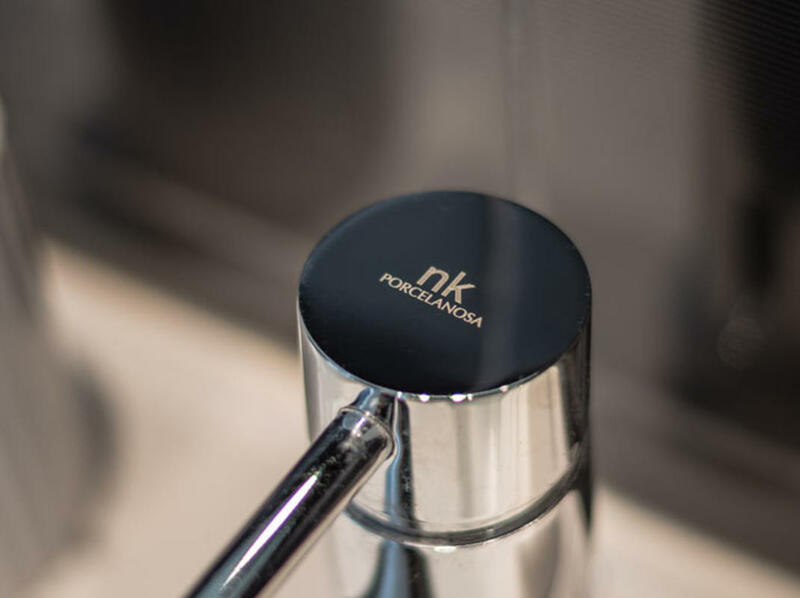 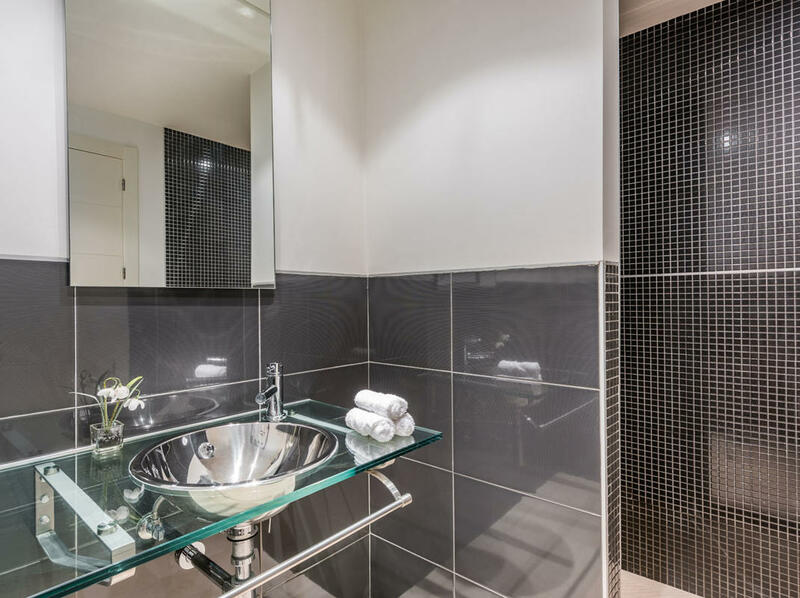 Attention to detail in the finish includes minimalist bathroom vanity units and Porcelonosa sanitary ware and dark wood pergolas and extensive glass to doors to provide to ensure maximum natural light and direct access to the outdoors. 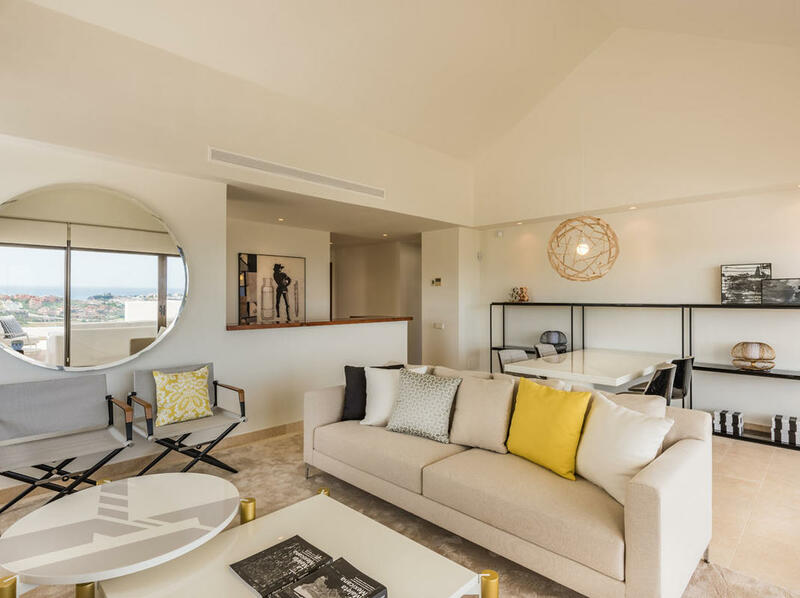 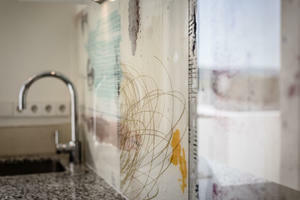 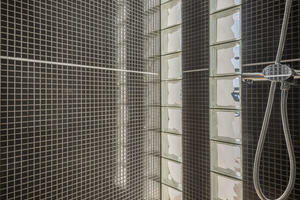 Other features include air conditioning, underground parking, smoke detectors, store rooms, an alarm system, and either one or two parking spaces depending on the type of property. 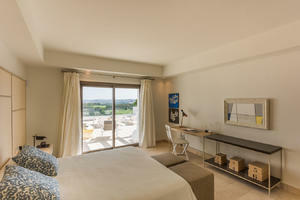 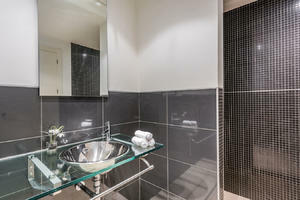 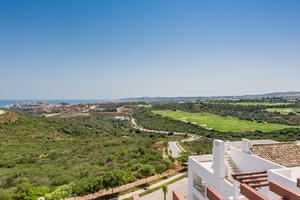 The landscaped gardens offer an oasis of green and there is a large cooling communal swimming pool. 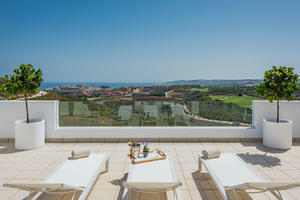 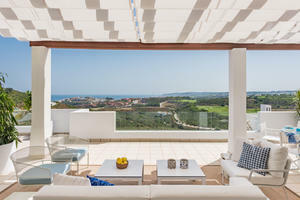 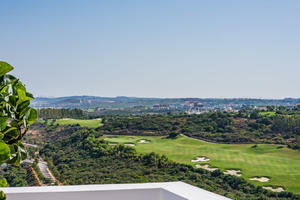 The local vicinity includes several golf courses – one of which is just 2 minutes from the complex and was rated to be amongst the top golf courses in Spain by Conde Nast Traveller Magazine in 2012 – and several others options including the famous Valderrama Golf Club which is just a short drive in the car. 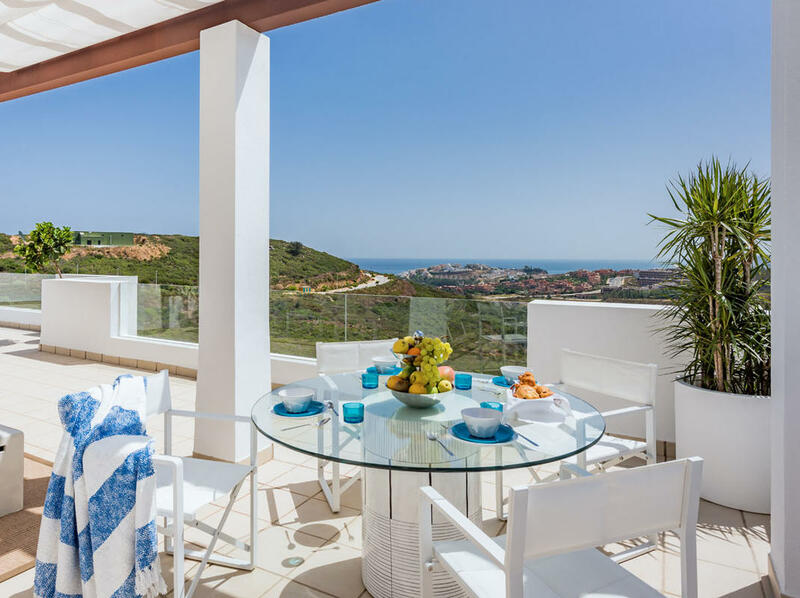 Fantastic family friendly beaches at Manilva are just 1km from the property and the marinas of Puerto Duquesa and Estepona, restaurants, bars, shops, a horse riding centre and water sports are all within easy reach.